Supernovae mark the death of a star in one of the largest explosions in the universe, some resulting in the creation of black holes. They also create many of the heavy elements that earth and life as we know it is made from. For most of the 20th century supernovae were found by professional astronomers in the course of other research. By the 1980’s equipment and technology improved to allow amateurs to seriously pursue supernovae and contribute to research by alerting the professionals quickly of new events. There is much to learn from supernovae and until recently amateurs played a major role in the discovery of new supernovae. Team Supernova Nova Scotia has had a front row seat to the changes both in discovery and science being done over the past 25 years. In this talk Paul will take us on the journey that his family has had while highlighting some of their discoveries, adventures and science. Nationally Paul has been involved since 2005 as Council Rep for the NB Centre. He would later serve on the Board Pilot Committee, chair the National Observing Committee for 3 years and serve as a Director on the Board. In 2012 he became editor of the RASC Observer’s Calendar and enjoys working on it during the cold winter months. In 2016 Paul was award the RASC Service Award for his efforts at both levels of the RASC. Over 3 decades Paul has had a journey of astronomical experiences. Observing first with a 60mm Tasco then a 100mm F4 Taylor Hobson TV Lens made into a telescope he completed the messier list. Later he would build a 330mm F4.5 reflector in his final year of highschool using the schools Tech Labs. After his move to the USA he would observe with a 12.5” F5 reflector completing his finest NGC List as well as his Dark Nebulae project. He has a passion for meteor observing and deep sky observing of most objects. He has ventured into photography many times over the years in both film, DSLR and CCD. He “went off the deep end” so to speak while in college when he teamed up with David Lane to conduct a supernova search and at age 22 found his first. He would later find 5 more and share one with his daughter Kathryn Aurora Gray. To keep things in the family his son Nathan Gray also would find a supernova as part of the program he and David Lane developed. Paul is also a 3 time recipient of the RASC Ken Chilton Prize. Recently he made a dream come true and observing easier by finally building his backyard observatory at his home in Nova Scotia. Happy 2019 and Clear skies! We are pleased to invite you to our Annual General Meeting of the members of the Yukon Astronomical Society (RASC Yukon Centre) that is to be held on the 10th of December, 2018 at the Yukon Astronomical Society’s new Astronomy Interpretive Centre, between 7:00 pm and 9:00 pm! Please, note that this will be the first time, after the star party, that we will gather in our own brand new facility, and first ever using of the building for an event! And to celebrate this and to celebrate our members, we will have a dinner party right after the AGM, right there at the observatory! But don’t worry, our new building has electric heating! We would also like to extend our invitation to the friends of the Yukon Astronomical Society to come and celebrate together with us! Please, bring a dish or snacks, salads of your choice and non-alcoholic drinks to share with others, and let’s make this event a great closure of the year! Observations will also be offered from the observatory after the AGM. Coffee, tea and hot chocolate will be available on-site. The event is child-friendly. Directions: The RASC Yukon Observatory and Astronomy Interpretive Centre is located just a few minutes walk from the Takhini Hot Pools, at the end of Takhini Hot Springs Road. You find a trail immediately behind the hot pools. Take left direction on that trail, and walk until you see a blue parking lot sign on the left and an information board on the right. Walk up the hill on the trail by the information sign, and you find the observatory. It should be less than 5-10 minutes walk from the Takhini Hot Pools public parking lot. Please, note that only registered members can vote. Both youth and adult members can vote. Are you keeping your membership in good-standing? You may renew or check your membership status at www.rasc.ca when you login with your username and password. 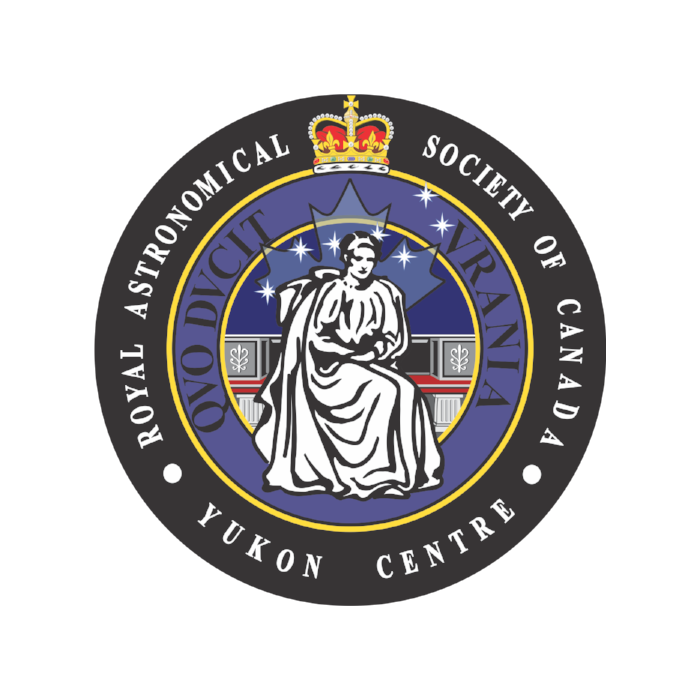 On behalf of the Board of Directors of the Yukon Astronomical Society and the Royal Astronomical Society of Canada, Yukon Centre, thank you for joining us in the discovery of the Universe either by attending our programs and bi-weekly workshops, or spending time observing the night sky in fellowship with other members or studying astronomy from your home. Together with the Board of Directors, we wish you Clear Skies! The Hubble Space Telescope was launched 28 years ago in 1990. After overcoming problems caused by a defective main mirror, Hubble has made discoveries that have revolutionized our view of the universe we live in. This talk will cover the history of Hubble based on a history book the speaker is writing for NASA. Chris Gainor is a historian specializing in the history of space flight and aeronautics. He has five published books and is currently writing a history of the Hubble Space Telescope for NASA. He is also President of the Royal Astronomical Society of Canada, and editor of Quest: The History of Spaceflight Quarterly. series, today , May 28 th at 7pm to 9pm at Room A2402 at the Yukon College. ceremony on August 23 rd , on the first day of our 2 nd Annual Yukon Star Party. choosing “Yukon Centre” as your centre. the next workshop in September! 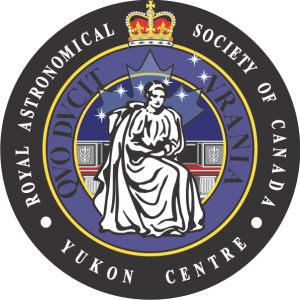 The Yukon Astronomical Society has announced that Tier III funding aid has been approved for the RASC Yukon Astronomical Observatory’s next phase of construction by the Yukon Government. This includes renovation of a 10 ft diameter observatory dome which was donated by Takhini Hotsprings LTD. This project also makes sure that the site will be safe for the public and relative infrastructure can be installed to meet the needs of those who will attend events being planned for hosting by the RASC Yukon Centre*. Expected construction could be completed as early as Fall 2018 with the finished observatory becoming accessible for the general public. RASC Yukon Observatory will be equipped to host professional grade astronomical telescope technology system which can be remote controlled and future ready. Public viewings are being planned for various planets as well as the Sun and Moon of Earth. Bright star clusters and other celestial objects can also become focused. “We are very excited to showcase the dark Yukon starry nights for students of all ages and everybody who is interested in looking through a telescope” says Viktor Zsohar, President of the Yukon Astronomical Society. It is the future plan of the Yukon Astronomical Society to extend the observatory site with a presentation building. In addition to public viewing for ‘Yukoners’, the Yukon Astronomical Society will have exclusive access schedules available as a membership benefit. The site will also be available for those ambitious enthusiasts planning their own relevant events in Whitehorse. More details will be available later on including the Grand Opening Event information and standard observatory operating hours. Be sure to keep an eye out on the Yukon Astronomical Society’s social media presence and website for this information as it becomes available. Funding for this project is made possible with support from Government of Yukon’s Community Development Fund. On March 19, 2018 the Yukon Royal Astronomical Society of Canada was treated by the presentation of Dr. Christa Van Laerhoven who appeared at the Yukon College in Whitehorse to speak about some interesting points of her field in detail. A senior member of the Yukon RASC, Dr. Van Laerhoven is a professional astronomer and planetary scientist at the University of British Columbia. The opening of this presentation discussed the motivation for exoplanet research being to give context to that of our very own Earth and solar system in general. If you were a farmer you wouldn’t try to understand raspberries by simply studying one single raspberry, Dr. Van Laerhoven remarks, but instead you need to look at raspberries in the context of several different raspberry bushes, grown in different conditions, breeding raspberries together, finding out how resistant they are to various elements, and all of the information possible in order to understand why they are the way that they are. In order to understand the ways in which our Earth is normal or abnormal, we must take a look at the bigger picture.